Convenient Parking is available near the Ohio Theatre at the listed Parking.com locations. Click on the location address for location hours, rates, detailed location information and a map. 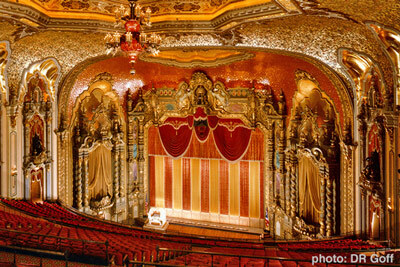 Known as the "Official Theatre of the State of Ohio", the Ohio Theatre is owned and operated by the non-profit Columbus Association for the Performing Arts (CAPA). The theater is know for its beautiful Spanish Baroque interior and large 2,779 seating capacity. It is the home of the Columbus Symphony Orchestra, BalletMet, the Broadway Series, Opera Columbus, and the CAPA Summer Movie Series.